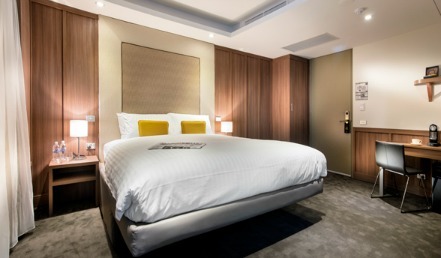 We have just discovered that an innovative new hotel has opened its doors right in the heart of Fremantle. Aptly named the Hougoumont Hotel, it combines class, luxury and of course cargotecture all in one space! Why is the Hougoumont an apt name? Time for a little history lesson. 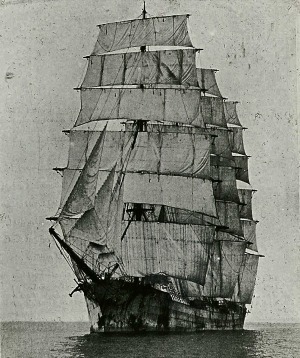 The Hougoumont was a ship that carried the last convicts to Australia in 1868. While she wasn’t the biggest vessel around, she was no dinghy measuring 165.5 feet long with a 34 ft beam and 23 ft depth of hold. Containerised cargo was not yet invented, but we’re sure they were carrying some freight, along with some convicts! 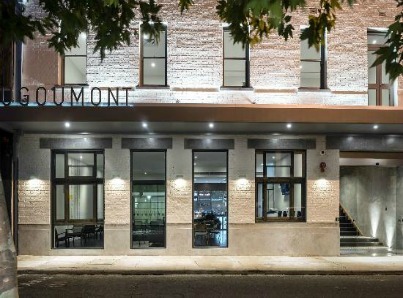 The Hougoumont Hotel is located on Bannister Street in Fremantle. It is a cool and contemporary space that is a darn sight more comfortable than the original Hougoumont. 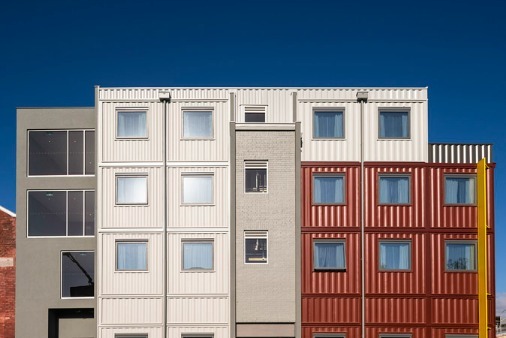 We were surprised to see that shipping containers were used to form rooms in this modern hotel. Two kinds of rooms are on offer – the Superior cabin and the Stateroom. The Superior cabin room sports a private shower and toilet. Rooms are 15m2 – 18m2 in size. The Staterooms are luxurious. Rooms are a massive 32m2. The Hougoumont Hotel is receiving fantastic reviews for this ingenious design along with fantastic service. It’s maritime, history, shipping, luxury and of course Fremantle rolled into one. Head over to their website for more details.